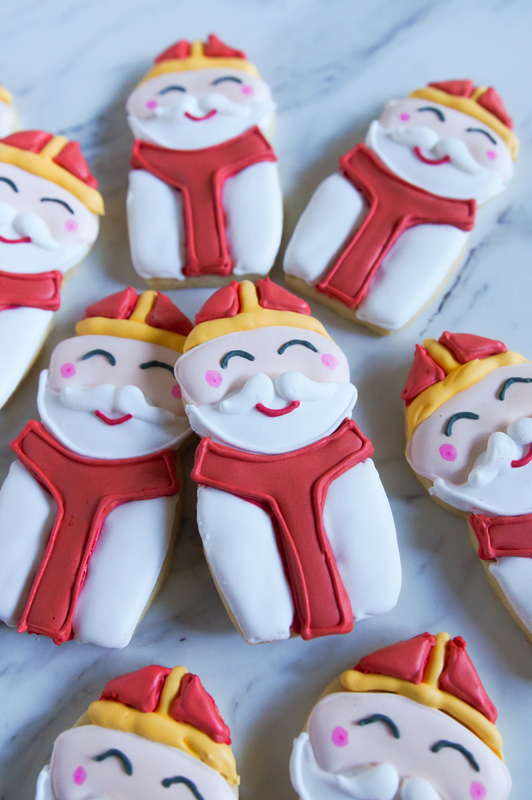 Growing up, we didn't celebrate St. Nicholas' Day. I think my Aunt Janice was the first person I knew who really made a point to observe it. Then, when Jack attended Frassati Catholic High School (best high school ever), they celebrated in the traditional way by placing candy in the students' shoes. (Imagine a sea of black Sperrys left outside classroom doors...and Dominican Sisters filling them with candy...and the chaos that might ensue as students try to find their actual shoe among all of the identical ones. Ha.) 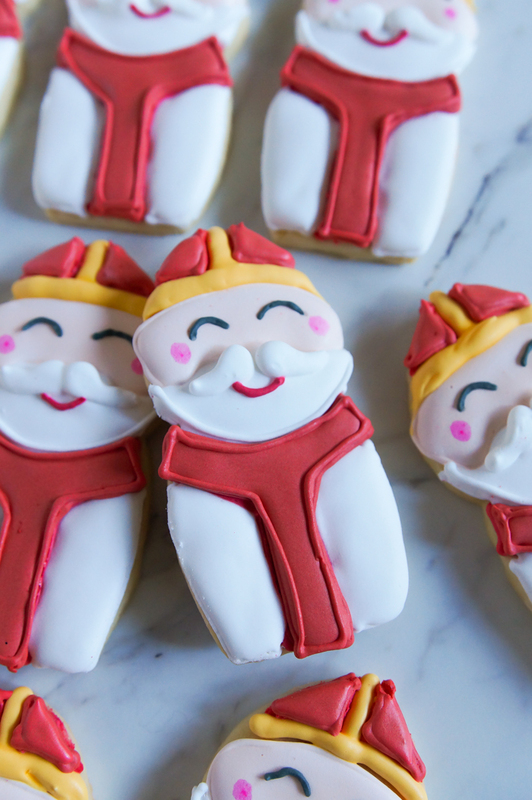 I love St. Nicholas' Day! 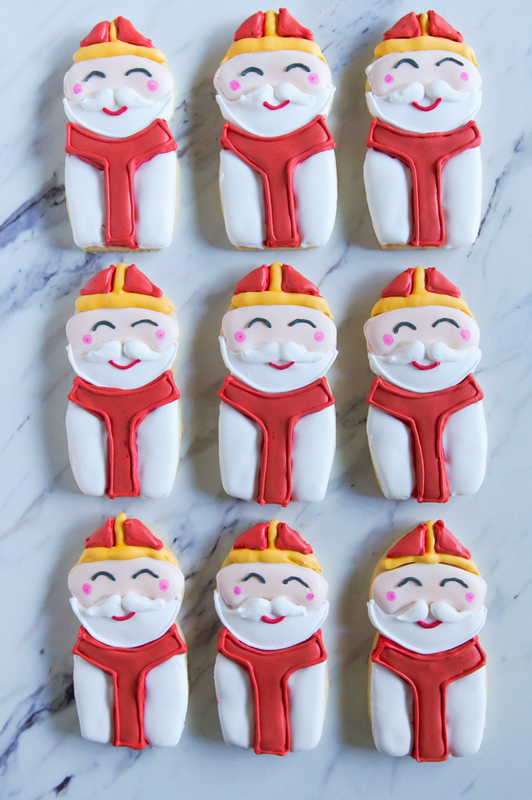 I bought this cookie cutter from Catholic Curio on Etsy. I love the shape and that it's imprinted for easy decorating. 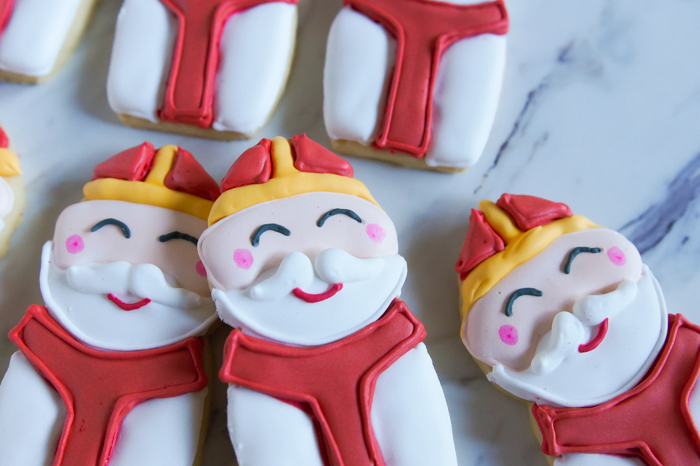 Even with an imprinted or stamped cookie, you can still modify the design to match your vision. More on that in a sec. 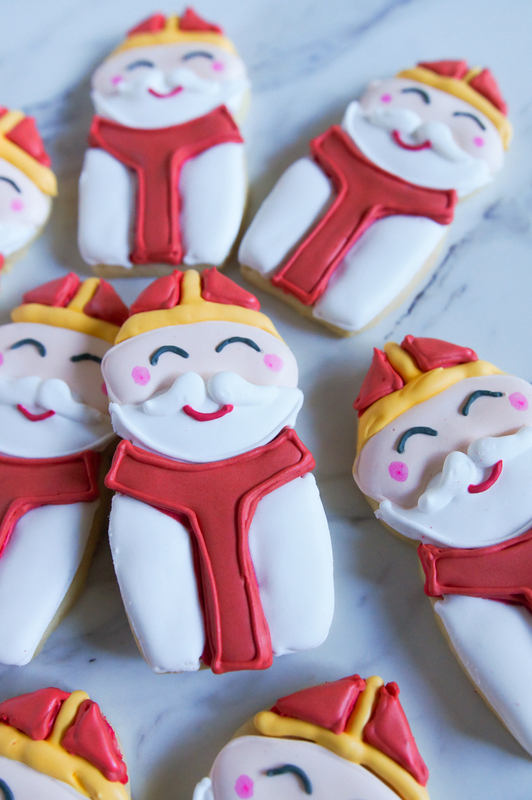 For the cookies, I used my perfect every time cut-out cookie recipe and my favorite royal icing recipe. 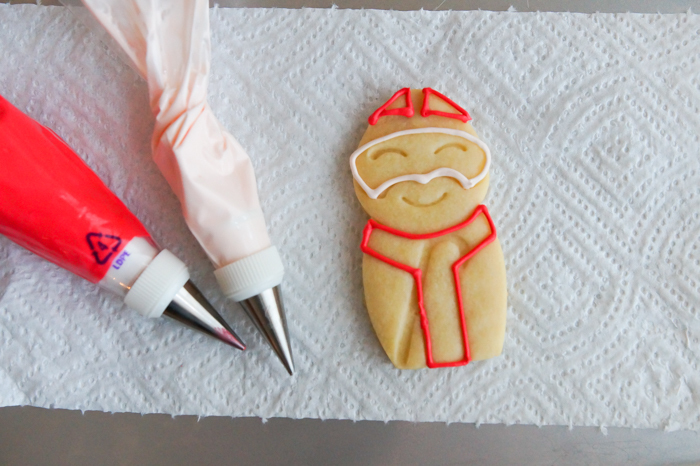 Because of the style of cookie cutter, the cookies should be rolled to no more than 1/4" thick. I tried 3/8," and it just didn't work. Be sure dip the cookie cutter in flour before each cut for easier removal. For the design, you can see that there's a staff in the cutter pattern that I didn't end up using. When I used the piping consistency icing, I just went right over it. Easy peasy. The icing settles in evenly, and you never know it's there. 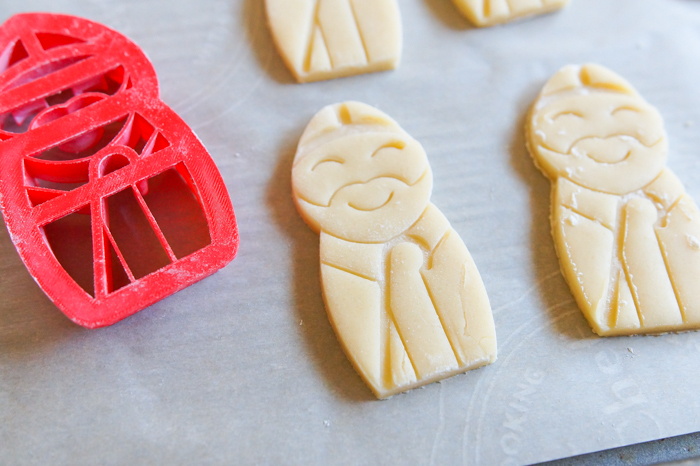 One trick for intricate designs is to freeze your shapes before baking. 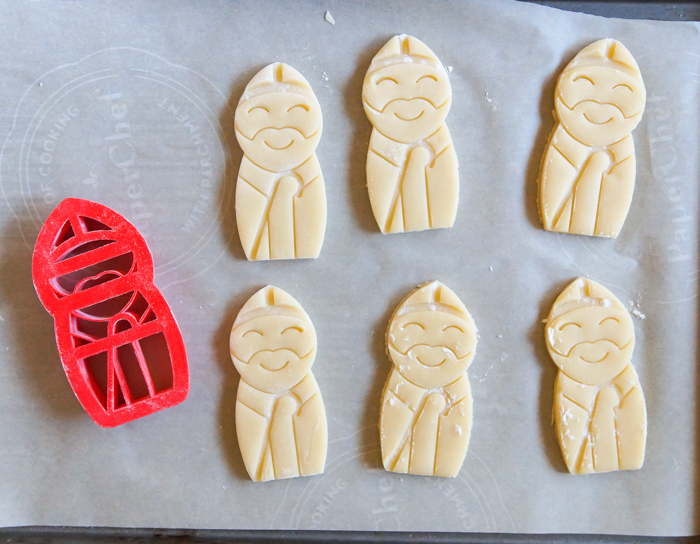 I actually do this with every batch of cut-out cookies I make, but it's especially important with a stamped design. Ten minutes in the freezer before baking is perfect. Once the icing was completely dry (overnight), I added the pink cheeks with a food coloring pen. I love the Gourmet Food Writers brand. 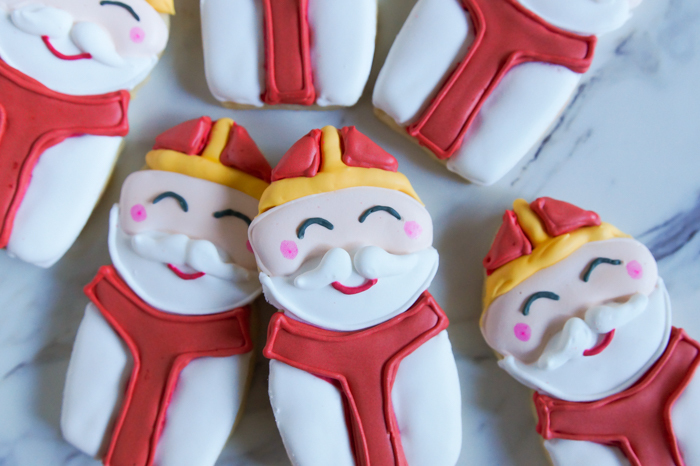 Do you celebrate St. Nicholas' Day? We do now!